The “Action URL” component has been quietly deprecated in favor of the newer “Actions” component. The “Actions” component has been released for some time now and has been rolled up into the base install of XI. Although it is most commonly used to add URLs to specific Nagios objects on the details pages in XI, it is by far more advanced than its predecessor “Action URL”. The “Actions” component is truly one of the more powerful components available for Nagios XI, on par with event handlers in extensibility and complexity. The use cases for the Actions component are near endless. A simple example would consist of the streamlining of repeated tasks, like the adding of common comments to particular hosts. This can be accomplished using the Actions component and the command pipe. For the following example, we will assume that the comment to be added to a host relates to the completion of a successful security audit by the user “auditor”. 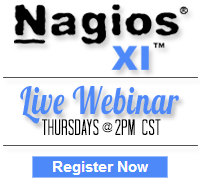 This action will include the passing of the %host% macro to a script that will write to the Nagios command pipe. Category: Uncategorized. Closed Tags: action, action URL, actions component, Component, Documentation, extensibility, nagios, nagios xi, script, XI.